Proven Winners�® Customer - Grower Agreement | Walters Gardens, Inc.
All forms of self-propagation are strictly prohibited. Read this agreement before accepting any order and/or opening any sealed or unsealed shipments of Proven Winners plants. By accepting a Proven Winners order, and/or opening any box(es) or shipments of Proven Winners plants, you, the customer shown on the shipping documents receiving this order (hereinafter “Customer”) accept this agreement. If you do not agree to the terms of this agreement, do not accept any orders and/or shipments, and do not open any boxes. If an order is refused, promptly contact your Proven Winners sales representative(s). 1. Prior Agreements Superseded. This Agreement supersedes any and all prior agreement(s) or representation(s), written or oral, between Proven Winners and Customer which addressed the same or similar subject matter as is set forth in this Agreement or which could be construed as a previous version of this Agreement. 2. For Production of Finished Plants ONLY; PROPAGATION PROHIBITED. For purposes of this Agreement, the term Finished Plants means plants that have reached a size and appearance appropriate for retail sale (“Finished Plants”). For plants sold under the Proven Winners brand, this is further defined as a Finished Plant sold in a container size of four (4) inches in diameter or larger, or as a Finished Plant sold in a large multi-plant finished basket or combination planter. Customer may not re-sell or redistribute Products in the original form as received from Proven Winners. The term “redistribute” as used herein shall mean the act of transferring, selling, delivering to, or otherwise accommodating parties other than the Customer shown in the “ship to” portion of the written bill of lading. All growing under this Agreement must be for the sole purpose of producing Finished Plants from Proven Winners plant material ordered and received by Customer from Proven Winners pursuant to this Agreement. 3. Resolution of Liability at Time of Inspection. In the event of unauthorized or illegal propagation, Proven Winners shall be entitled to all available rights and remedies. In certain cases where illegal propagation has occurred, and in the sole discretion of Proven Winners, Customer may avoid further legal liability by electing to resolve the matter by: 1). Immediate payment of an automatic assessment of $3.00 USD per cutting, and 2). Immediate destruction by Proven Winners, its agent, or otherwise of all unauthorized or illegal plant material. Customer waives this option in the event that all illegal propagation is not resolved in writing at the time of inspection and, in that event, Customer hereby agrees that the damages to Proven Winners far exceed any amounts that could have been asserted by Proven Winners pursuant to this paragraph at the time of inspection. 4. Plant Tags: Customer Must Use Proven Winners’ Plant Tags With Finished Plants and May NOT Use Any Other Plant Tags. 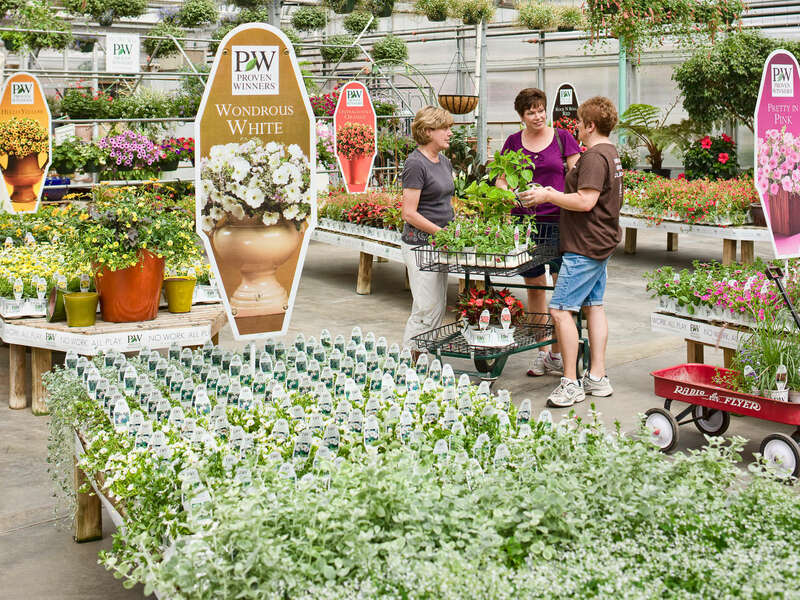 Proven Winners provides to Customer one variety-specific Proven Winners plant tag for each individual plant product purchased by Customer. The provided plant tag shall be inserted into the container of each Finished Plant of each plant product sold or shipped by Customer so as to be prominently displayed and seen without effort by the purchaser and consumer. If multiple plant(s)/varieties are used in the same container (example: container plantings, hanging baskets, etc.) at least one variety-specific plant tag for each individual variety in the planting must be inserted in the container. Customer SHALL NOT grow, sell, offer for sale, distribute, or ship any Finished Plants of any Proven Winners product (whether individual pots or containers, or multiple plant containers or hanging baskets) using any plant tags not provided by Proven Winners, nor use any unauthorized or otherwise inapplicable trademarks, names, variety names or markings with Proven Winners product. Customer is strictly prohibited from creating, printing, or producing plant tags, containers, pots or any type of packaging labels containing, reproducing, or displaying Proven Winners variety names and trademarks, images, or cultural information. Additionally, under no circumstances can secondary, or “grower” tags, be used either in lieu of or in conjunction with the plant tag provided by Proven Winners. 5. Limited Right to Use Bar Code or Customer Name. If Customer wishes to utilize a bar code, Customer is strongly encouraged to purchase Proven Winners branded containers which can be custom printed with a bar code. Customer may also include along with Finished Plants a white plant stake tag (no larger than 3” tall x 1” wide) or a white sticker/label affixed to the container (no larger than 1” x 1-½” in size), consisting only of a bar code and/or a retail price, with no other markings, except as allowed in this paragraph. Additionally, if Customer wishes to indicate that Customer is the grower of the Finished Plant, Customer may apply a label to the pot of the Finished Plant that reads “Grown under agreement with Proven Winners by [Name of Customer].” Such label shall be no larger than 1” x 1-1/2” in size and consist only of the aforementioned plain text with no designs or embellishments (except Customer may combine the aforementioned plain text with a bar code and/or retail pricing mentioned above on one sticker/label 2” x 1-1/2” in size). Otherwise, Customer may print either a bar code and/or indicate they are the grower of the Finished Plant on a container of their choosing if the size guidelines for providing this same information on a sticker/label are complied with, as well as sections 4 and 8 of this Agreement. 6. Customer shall not use Proven Winners’ Trademarks, Plant Tags and/or Containers with Any Other Products Except Those Purchased from Proven Winners. Plant tags may only be used with the original plants provided. If Container Garden Tags (larger display tags for multiple plant(s)/varieties used or offered in the same container) as provided or sold by Proven Winners are used, Customer shall only use a Proven Winners Container Garden Tag when at least 75% of the varieties in the container have been provided by Proven Winners. Customer shall be fully aware of, abide by, and govern itself in accordance with all information and restrictions set forth on any plant tag provided to Customer by or on behalf of Proven Winners. 7. Re-Selling or Giving Away Proven Winners’ Plant Tags or Containers is Strictly Prohibited. Additionally, purchasing or otherwise obtaining Proven Winners’ plant tags or containers from any source other than Proven Winners is strictly prohibited. 8. Complete Packages / Required Branded Container Program. The purchase and use of a Proven Winners branded container is required for all plant varieties sold under our Proven Winners Perennials product line. 9. Limitation on and Exclusion of Damages. Customer may recover only direct damages up to but not exceeding the amount paid for the subject plant products. Customer cannot recover any other damages, including consequential, lost profits, special, indirect or incidental damages. This limitation applies to anything related to the plant products purchased, as well as claims for breach of contract, breach of warranty, guarantee or condition, strict liability, negligence, or other tort to the extent permitted by applicable law. It also applies even if replacement of the plant products purchased or a refund for the plant products do not fully compensate for any or all losses, or if Proven Winners or its suppliers knew or should have known about the possibility of the damages. 10. Customer Owns No Rights In Mutations. Customer shall report to Proven Winners immediately by certified mail any sport, bud mutation, or mutant (defined as a sudden heritable change appearing in a plant as the result of a change in genes and chromosomes which may or may not result in a superior plant) found in the Proven Winners products. Immediately upon request of Proven Winners, Customer shall provide Proven Winners with material of the sport, bud mutation, or mutant. Any sport, bud mutation, or mutant found in the Proven Winners product shall be the property of Proven Winners, the breeder or plant patent owner, at Proven Winners’ discretion. 11. Quality Control Standard. Customer shall ship, sell, or distribute none of the finished plants of the Proven Winners products unless the same shall be in healthy condition and of a size, condition, and appearance appropriate for retail sale. 12. Right of Inspection. Customer agrees to allow Proven Winners or Proven Winners’ Agents, including but not limited to Royalty Administration International, to enter and inspect at any reasonable time Customer’s premises and plantings to ensure compliance with this Agreement and Customer shall authorize and instruct Customer’s employees to fully cooperate in any such entry or inspection. Refusal to allow inspection will result in the immediate termination of this Agreement. 13. Termination. Upon breach by Customer of any terms of this Agreement, the grant of rights to Customer under this Agreement is immediately terminated. In this event, or upon termination of this Agreement for any reason, Customer agrees to destroy all plants, cuttings, buds, and other matter capable of reproduction of the Proven Winners products (“Existing Plant Matter”) and all plants, cutting, buds, and other matter capable of reproduction, originating from the existing plant matter. Proven Winners may also pursue all legal remedies available, to the fullest extent of the law, for the recovery of further damages, including without limitation, incidental, consequential, punitive, statutory, and infringement damages, lost profits and all forms of injunctive relief. Proven Winners may also pursue all legal remedies available, to the fullest extent of the law, for the recovery of further damages, including without limitation, incidental, consequential, punitive, statutory, and infringement damages, lost profits and all forms of injunctive relief. 14. Venue, Jurisdiction and Choice of Law. In any legal action arising out of this Agreement, or arising from infringement of Proven Winners rights, Customer consents to the exclusive jurisdiction of the U.S. District Courts, including the U.S. Courts for the Middle District of Florida and the Northern District of California. 15. Attorney Fees. In any legal action arising out of this Agreement, or arising from infringement of Proven Winners rights, Proven Winners is entitled to reasonable attorney fees and costs. 16. Non-Assignability and Severability. Customer may not assign this Agreement. If any provisions of this Agreement are, or become, invalid or unenforceable, the remaining provisions shall continue to be fully effective. We strongly believe that Proven Winners® branded containers are essential to the success of the brand, ensuring better brand recognition and sell-through for our customers.